Will my Apple purchase attract additional bank fees? How do I get my GST refund? You can redeem an Apple Store Gift Card at the online Apple Store, by calling 133‑622, or at any Apple Retail Store. With the exception of gift cards, certificates, and iTunes downloads and/or subscriptions, you can purchase just about anything sold by Apple, including products from both Apple and third-party makers. You can use up to eight Apple Store Gift Cards at the Apple Online Store or if placing an order over the phone at 133‑622. You can combine your Apple Store Gift Card(s) with one credit/debit card to pay for your purchase. Simply enter or provide the PIN. 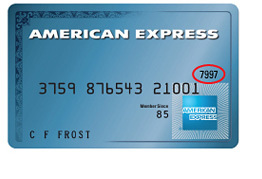 The PIN can be found on the email below the image of the card. Please keep the card in your possession until the order has been processed and delivered. Note: Apple Store Gift Cards can only be redeemed in the country of purchase. 1. Place your order with an Apple Representative by phone on 133 622. 2. Obtain the final dollar total of your order, including tax and any applicable shipping charges from the Apple Representative. 3. Confirm that your cheque is for the full amount of the order. It is not possible to combine a cheque/money order with another form of payment for one order. 4. Make the cheque payable to Apple Pty Ltd, and include your web order number or a copy of your order. Apple is unable to accept a cheque associated with a billing address outside of Australia. Please be aware that cheque or money order are not applicable to certain products. Place your order with an Apple Representative by phone on 133 622. Obtain the final dollar total of your order including tax and any applicable shipping charges from the Apple Representative. Visit any National Australia Bank branch and have the bank electronically transfer the total dollar amount of your order using the routing information below. Cash or cheque deposits are accepted. Scan a copy of your deposit slip and email the attachment to the following email address: Receipts@apple.com. Note: Please allow two (2) business days for Apple to receive your payment and start processing your order. Please be aware that direct deposit are not applicable to certain products. Purchasing on 0% interest is a great option if you are looking to purchase Apple products with one simple monthly repayment. The outcome of your application will be displayed on screen in 60 seconds and also emailed to you. If you are approved, your CreditLine account number will be automatically sent to Apple. You will then be contacted by Apple within 2 business hours (Mon-Fri 8:30am-5:30pm AEST) to place your order. If you have an existing Latitude card (CreditLine, Buyer’s Edge, Gem Visa or GO Mastercard), you do not need to re-apply with Apple. Simply call 133 622, to place your order. If you choose Financing, the delivery date in bag and checkout may not apply. Your delivery date may be later due to the time required to process your financing application. When your application is approved, you will receive an email notification with the updated delivery date. Business Finance through Apple Financial services has a number of benefits for business customers. You can manage monthly cashflows and may achieve significant tax benefits. You will be notified of your application outcome within 4 business hours. Your business business finance contract and supporting documents will then be emailed to you for signing. If you are approved, you be contacted by an Apple Business specialist within 2 business hours (Mon-Fri 8:30am-5:30pm AEST) to place your order. If you choose to purchase using business finance, the delivery date in bag and checkout may not apply. Your delivery date may be later due to the time required to process your business finance application. When your application is approved, you will receive an email notification with the updated delivery date. Apple's Payment Processor (Merchant Bank) is in the UK. Please check with your card issuing bank regarding additional services charges applied by your bank. 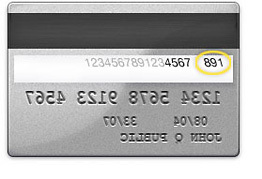 Any service charges imposed by your banks are not reflected in the order value on the website. The Tourist Refund Scheme enables you to claim a refund of the goods and services tax (GST) on certain purchases if you are leaving Australia; subject to certain conditions. Apple ships each item as it is available to ship; if you have multiple items on your order they may ship at different times or from different locations. Once your order has shipped, Apple will email your invoice to the email address provided on your order. If your order contains multiple items and they ship at different times or from different locations, you will receive multiple invoices. Apple cannot amend invoices after they have been issued and cannot combine multiple invoices to one invoice.